The wickedly fun rummy game you play in phases! 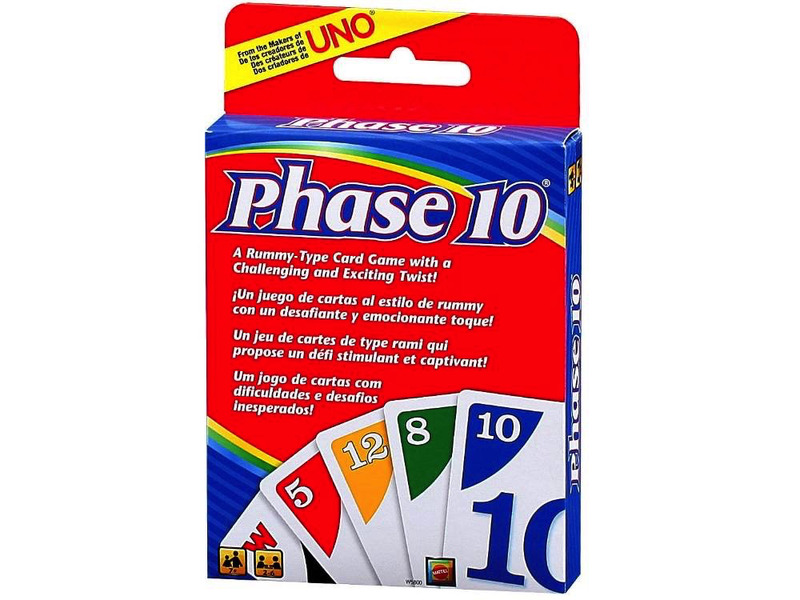 During each hand, you work to complete a phase - getting 2 sets of 3 cards is Phase 1. Complete your phase before the end of the round to move on - but if you don't, you'll have to try again! Complete 10 Phases in order to win, if you fail a phase then you have to go back and start again. Take the game anywhere for fun anytime! For ages 7+.